ASK Project: Now available in Wirral, Knowsley, Warrington & Cheshire! Over the last 12 months All About STEM has partnered in delivering the ASK (Apprenticeship Support and Knowledge for Schools) Project across schools and colleges across Cheshire and Warrington. 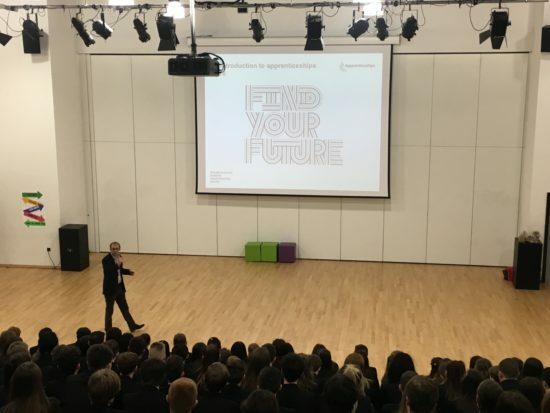 We have been engaging with students, teachers and parents to give up to date and relevant information about Apprenticeships and to raise awareness of the brilliant opportunity they can offer. 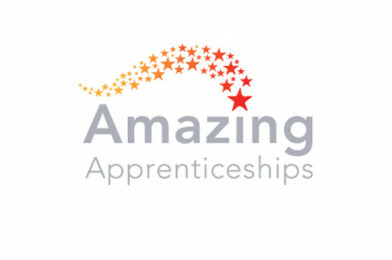 Over the last 12 months we have talked with and educated literally thousands of students and hundreds of teachers and parents many of which have found the current Apprenticeship offer very appealing, especially the prospect of the Higher/Degree apprenticeships. Due to our success and the response to the ASK project last year we are pleased to announce that we will be widening our reach and now delivering the ASK project in more areas. We will still be working in Cheshire and Warrington region and further to this we can now offer the ASK project to schools and College in Wirral and Knowsley. The importance of up to date and relevant advice to young people is more important than ever so that they can make the right choice for them, if you would like to engage with the ASK project please do contact [email protected] (07753415238) and he will happily talk through the offering with you and put some dates in the calendar to engage with your school. Below are the various ways you can engage with the ASK project but please don’t hesitate to drop us a line to discuss the options and which ones you would like us to come and deliver in your school. Assembly – we come into your school and talk to your students about apprenticeships, what jobs are out there for your students when they leave school (there will be some they didn’t even think of!) and some stereotype busting around apprenticeships. Find an Apprenticeship session – we will talk students through how to register on the “Find an Apprenticeship” website and walk them through how to search for certain criteria, how to set up alerts, and carry out some activities to make sure they know how to effectively find the right apprenticeship for them. We will cover other websites as well so that student have a fun understanding of the best websites to visit to find the right apprenticeship for them. Parents Evenings – We are happy to attend any planned sessions you may have for parents to provide them with up to date knowledge on apprenticeships and answer any questions they have around it and once again challenge the stereotypes that some parents may have around apprenticeships. Teacher CPD sessions – We can deliver apprenticeship sessions to school staff to assist in developing all staff knowledge about apprenticeships and keep everyone up to date with the latest information and developments surrounding apprenticeships. We can conduct after school sessions, lunch hour sessions or early morning sessions to fit into you timetable and to bring everyone’s knowledge up to date. It would be great to discuss this offer further with you so please do let me know when you will be free to schedule a conversation to discuss this offer and your engagement for the coming school year.